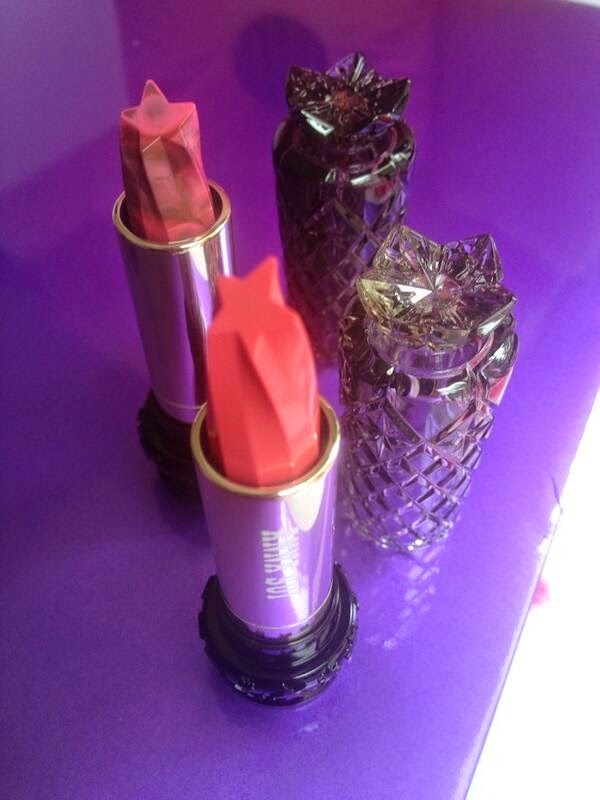 Abe Sawako tweeted this pic of the Anna Sui Lip Stick V and M which will be released on 1 August in Japan. Lipstick M features a marble swirl of colors. The intricately carved cases are supposed to be a star-inspired design but they keep reminding me of pineapples somehow! See another pic of the case and box here. This is soooo pretty! I super like the colors and the uniqueness of it. This will def be in my purchase list. I'd get it for the case alone, honestly. This is really pretty, and a nice change from the usual Anna Sui designs. Agree with you though, it does kinda remind one of pineapples, haha!